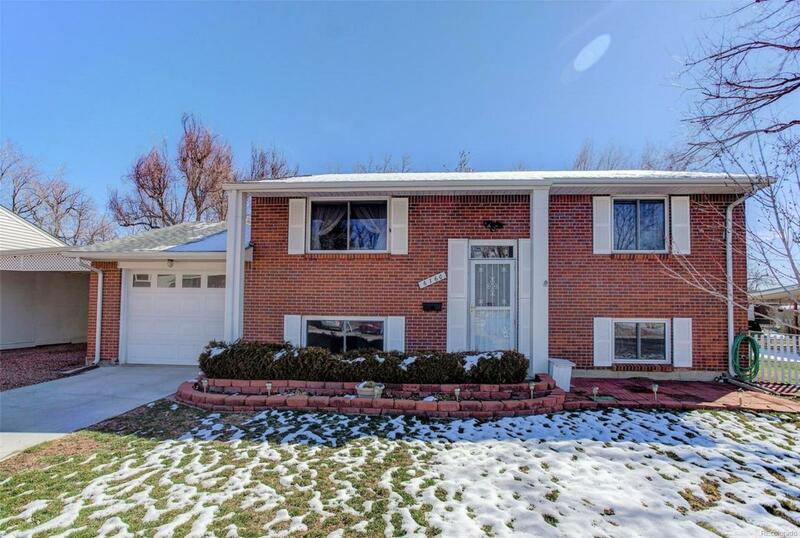 This charming Arvada bi-level is ready for a buyer to add a personal touch. With 4 bedrooms and 2 bathrooms, this 1,802 square foot home has enough space to build memories. Great outdoor space with shed for storage. All schools are within walking distance with an Apex Recreation Center being built down the street; the Secrest Center and Outdoor Pool is projected to open this summer (Link: https://apexprd.org/facility/secrest-center-outdoor-pool/). Less than 2 miles from Old Towne Arvada which is full of shopping, entertainment, and the transportation. FANTASTIC LOCATION! New roof and siding in 2017. This home is move-in ready!